When did you last walk into a shop for a pint of milk, only to come out with an armful of groceries you didn’t know you wanted? The way we shop is more predictable than you might think, which is something supermarkets can use to their advantage. 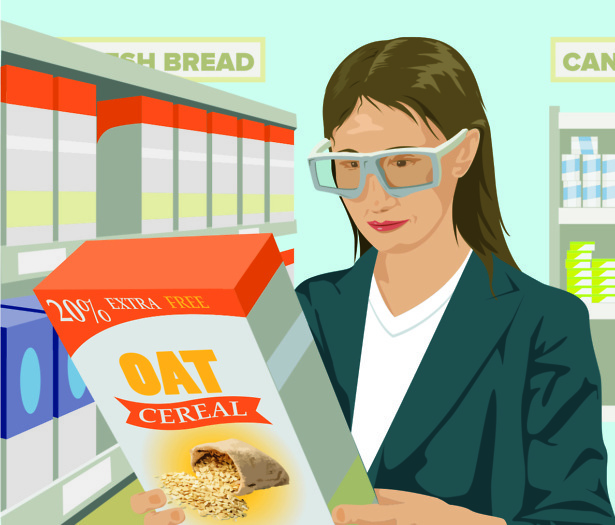 To find out how supermarkets persuade us to part with our cash, we asked a shopper to do four supermarket shops and fitted her with eye-tracking technology that monitors what you’re looking at as you move around a store. With her own shopping list of eight or nine items, she visited a big hypermarket (Tesco), a budget supermarket (Aldi), a convenience store (Co-op) and a premium supermarket (Waitrose). We then asked retail psychology experts to analyse her movements and explain why she chose the products she did. 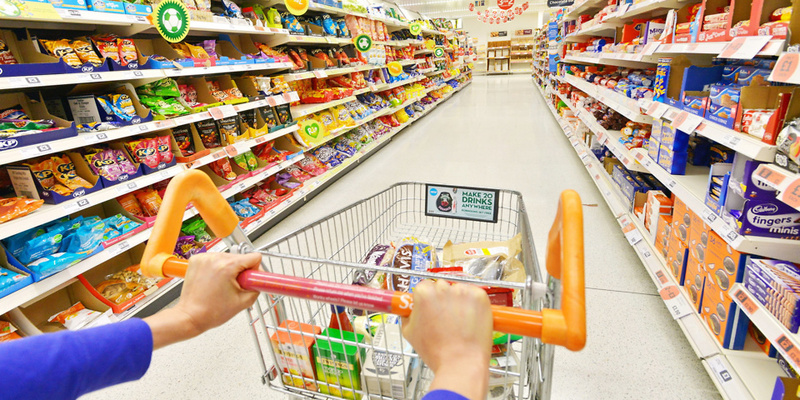 To find out which supermarkets scored best and worst in our annual survey of shoppers, head to our guide to supermarkets compared. How do supermarkets get us to spend? Our experts identified a number of ways in which supermarkets encourage us to spend in store. They’re not necessarily bad – some are designed to make it easier for you to find what you need quickly. But it’s worth being aware of them so that you can make well-informed decisions about what you do – and don’t – want to buy. For ideal browsing, you need to be moving slower than you would usually walk. It takes an average of 10 paces to adapt to this ‘shopper speed’, so supermarkets are keen to slow you down as you enter the store. You’ll usually find an area of empty space at the store entrance, known as the ‘decompression zone’. When our shopper visited Waitrose, the decompression zone extended outside, where a display of flowers and garden equipment slowed her to optimum ‘shopping speed’ before entering. At Aldi, she entered through automatic doors with a 90-degree turn, which forced her to slow down to a stop. Stores plan their shelves to encourage us buy the most profitable items, in a model based on the principle of ‘good, better, best’. On the bottom shelves are the cheapest – ‘good’ – products, which don’t make supermarkets a lot of money. They’re slightly awkward to access, which puts us off bending down to get them. The easy-to-access middle shelves are called the ‘volume area’. This is where our eye first falls, so it is home to the ‘better’ products – big brands and mid-range own-brand items. As our eye reads downwards, the own-brand items are usually directly beneath the big brands, leading us to think they are better value. The premium, or ‘best’, items sit at the top of the shelves. We don’t tend to glance up there unless we’re actively seeking them out, but they lend a balance to the shelf and make everything else seem more reasonable in comparison. Sometimes, though, own-brand items can be just as good as the classics. Find out how we rated branded and own-brand versions of your favourites in our comprehensive food and drink taste tests. Discount stores such as Aldi and Lidl have a more limited stock and sell far fewer branded items. Unlike traditional supermarkets, their own-brand items tend to look like the market-leading branded equivalent, although there is no evidence they are directly copying. It’s a technique based on the psychological principle of similarity – we tend to feel more comfortable with something that looks familiar, and transfer that feeling from one thing to another if they look enough alike. Aldi’s Alcafe instant coffee is a good example of this. It’s similar to Nescafé’s branding, so we instinctively feel more secure in buying it, even if it’s unfamiliar. While an average, mid-sized supermarket stocks as many as 30,000 items on its shelves, each of us will only ever buy around 300 of them over the course of a year. So how do supermarkets get us to the things we want, and encourage us to expand our shopping lists? In the past, it was more common for supermarkets to shepherd us through non-food aisles on the way towards the essentials, in the hope of turning us off-course. Nowadays, we’re less accepting of distractions, and most supermarkets use simpler layouts and clear signposting to direct us towards the things we need. Rather than diverting us completely, one common tactic is now to promote link-save offers, in which a mixture of related items (eg dips, salads or stir-fry ingredients) are grouped together in a deal in one place. While you’ll still feel on track with your shopping list, you may come away with three items rather than the one you were looking for. As we look around a shop, we scan our eyes from left to right, like reading a book. Looking down an aisle of shelves laid out horizontally, vertical banners interrupt this eye movement, drawing attention to whatever they are promoting and distracting our thoughts. Other distractions include brightly coloured signs and stickers highlighting special offers, which draw our attention towards certain items. The infamous special aisles running through the middle of Aldi and Lidl stores are a good example of a distraction technique. These non-food aisles, full of items that don’t hang around for long, act as a psychological trigger to slow down and browse. They proved to be an effective distraction for our shopper. Once she had stopped to browse them, she continued to shop at a much slower pace, and returned to add a doormat to her shopping trolley. But are the goods to be found in Aldi and Lidl’s non-food aisles worth buying? Head to our page on the latest Aldi and Lidl offers to see what we make of their appliances.